Season’s greetings and warmest wishes to all! As we look back on our musical experiences and performances this past year, we’re grateful to all our friends, fans, clients, jazz enthusiasts and dedicated audience for their support of our entertainment and musical artists. And, as the year is winding down, we have much to be thankful for. We’re looking forward to an exciting new musical year and to be a part of the city’s thriving and vibrant music community while exploring new destinations and projects. We are passionate about sharing the experience of live music and bringing together artists, jazz and music lovers. Creating new performance opportunities for our musicians and creating new music. Collaborating with documentary filmmaker on music for new documentary project. Expanding cross collaborative opportunities with cultural, events and hospitality industry leaders. With our profile raised by the recent release of the EP MïxT BeatZ and with a new stylishly refined live electro performance, Laurent Bass brings a new exciting style on the live electro scene. MïxT BeatZ project is a collection of brilliant original compositions composed and produced by Laurent that incorporates elements of soul, hip-hop, EDM, funk with jazz. Laurent fuses live electronica with contemporary jazz to create a unique hybrid style of electronic music that exposes the rich originality and style of his multi-textural electro acoustic creations. “Excited for the album release because you are the bomb.com! The new music is very cutting edge” (from one of our loyal patrons). Mixt BeatZ EP is available worldwide on Amazon Music, iTunes, Deezer, Spotify, and all major platforms. Look for a new album and some great performances in the upcoming year! To inquire about MïxT BeatZ ‘s live performances and booking information, please contact us at danielle@laurentbass.com. Mélange Jazz Collective is a fusion of individual musical talents who combine a diverse and rich range of musical backgrounds and styles inspired from Jazz to Latin, funk, blues, reggae, new music to world beat music. Recognized as one of the premier Jazz bands in the Philadelphia area, Mélange is known on the Jazz scene and event circles for crafting and performing fresh artistic interpretation of Jazz standards and for its creative original compositions. The ensemble can perform as instrumental – or with a vocalist – as duets, trios, quartets or larger ensembles with a selection of different instrumentation, depending upon our clients and event requirements. Looking for something unique for holiday gifts this year or create a new tradition? Give the gift of an experience with live music. A world of music for a world of reasons – Live performances can be the perfect gift for a variety of occasions, whether it is for a small and personal event or a larger social event. Mélange Jazz Collective – A creative, versatile, sophisticated and professional jazz ensemble that creates great music and exciting performances. Available as duos, trios, quartets and larger ensembles with a selection of different instrumentation. 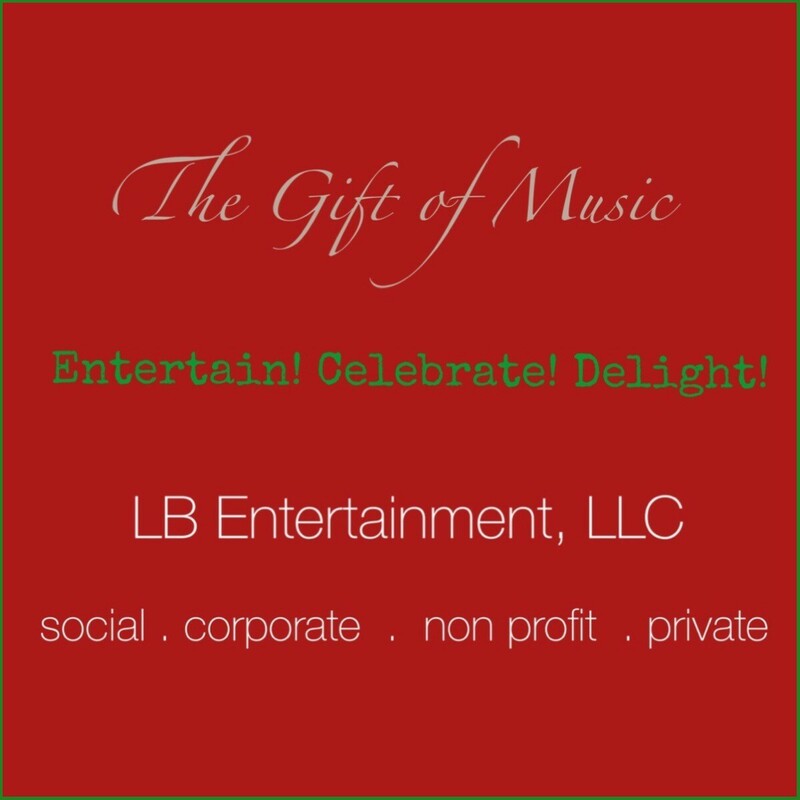 For booking or to request additional information about our rates, artists and their availability for 2019, please contact us at danielle@lbentertainmentintl.com. MïxT BeatZ – Distinctively stylish and cutting-edge electro performances in live setup. Book a special electro performance with MïxT BeatZ and multi-instrumentalist and producer Laurent Bass. To inquire about MïxT BeatZ ‘s live performances and booking information, please contact us at danielle@laurentbass.com or lb@laurentbass.com. 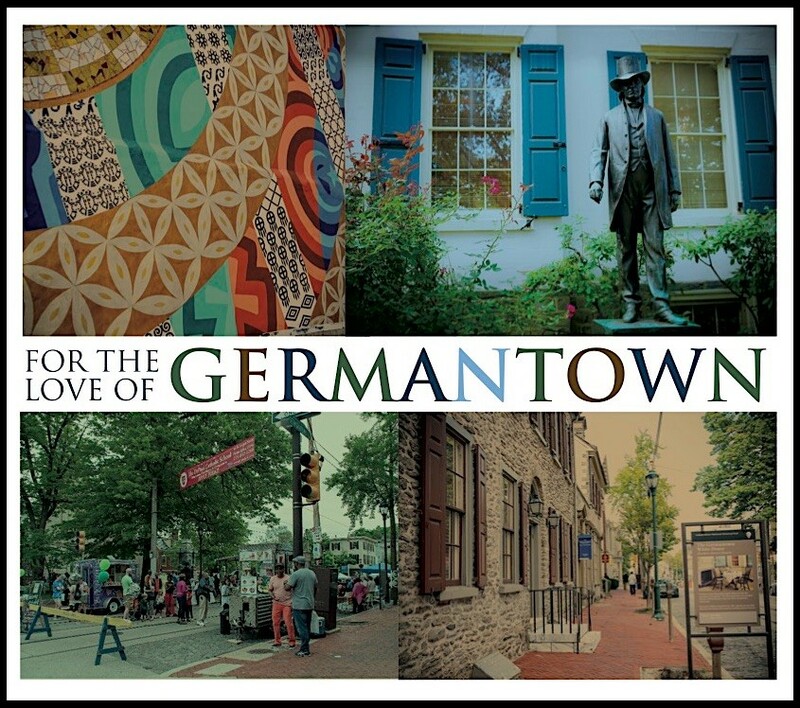 Get the album – ‘For the Love of Germantown’: The album is a compilation of nine great Jazz, Blues and Soul performances of new and classic songs by artists from the Philadelphia area and is in celebration of the rich culture, diversity and history of Germantown. We are proud and honored to have been a part of Philadelphia Jazz Project/Germantown United CCD’s project. Mélange Jazz Collective is featured on track 5, “Sunday Sermon on Mars”, an original composition written by Mélange Jazz Collective’s bassist Bert Harris and dedicated to Sun Ra, visionary musician, composer and band leader who resided in Germantown for some time. Sunday Sermon on Mars features bassist, Bert Harris; saxophonist, Laurent Bass; drummer, Kimpedro Rodriguez; guitarist, Steve Strawitz. December 3, Mélange Jazz Duo (sax/bass), The Art of the Duet, Sassafras Bar, 48 S 2nd Street, Old City, 6:30pm-9:30pm (public event). December 7, Mélange Jazz Collective Trio (keyboard/sax/bass), Davio’s, (holiday receptions/private event). December 9, Mélange Jazz Collective Quartet (keyboard, bass, drums, sax), Sunday Jazz Brunch, Manayunk Brewery & Restaurant, 10:30am-2:30pm (public event). December 10, Mélange Jazz Duo (sax/bass), The Art of the Duet, Sassafras Bar, 48 S 2nd Street, Old City, 6:30pm-9:30pm (public event). December 13, Mélange Jazz Duo, Laurent Bass and Bert Harris, private event, Old City. December 15, Mélange Jazz Collective trio, Acadia Restaurant, 824 South Eight Street, Philadelphia, 8pm-11pm. Bassist Bert Harris, percussionist Karen Smith, saxophonist Laurent Bass. December 17, Mélange Jazz Duo (sax/bass), The Art of the Duet, Sassafras Bar, 48 S 2nd Street, Old City, 6:30pm-9:30pm (public event). December 21, Mélange Jazz Collective Trio (sax/bass/congas), Table + Tavern, Whole Foods Market, 15 East Wynnewood Road, Wynnewood, 6:30pm-8:30pm (public event). December 23, Mélange Jazz Collective Quartet (keyboard, bass, percussion, sax), Sunday Jazz Brunch, Manayunk Brewery & Restaurant, 10:30am-2:30pm (public event). January 5, Mélange Jazz Collective Trio, Acadia Restaurant, 824 South Eight Street, Philadelphia, 8pm-11pm. Bassist Bert Harris, conga player Robert Morales, saxophonist Laurent Bass (public event). January 7, Mélange Jazz Duet, Bert Harris, bass; Laurent Bass, tenor saxophone, Sassafras Bar, 48 S 2nd Street, Old City, 6:30pm-9:30pm (public event). January 14, Mélange Jazz Duet (sax/bass), Sassafras Bar, 48 S 2nd Street, Old City, 6:30pm-9:30pm (public event). January 17 , Mélange Jazz Collective Trio, Warmdaddy’s Thursday Happy Hour hosted by Michael Tozzi and ijazzglobal.com. Featuring saxophonist Laurent Bass, bassist Bert Harris, guitarist Steve Strawitz. 5pm-7pm (public event). January 19, Mélange Jazz Collective Trio, Acadia Restaurant, 824 South Eight Street, Philadelphia, 8pm-11pm. Bassist Bert Harris, percussionist Karen Smith, saxophonist Laurent Bass (public event). January 21, Mélange Jazz Duet(sax/bass), Sassafras Bar, 48 S 2nd Street, Old City, 6:30pm-9:30pm (public event). January 26, Mélange Jazz Collective Trio, Acadia Restaurant, 824 South Eight Street, Philadelphia, 8pm-11pm. Bassist Bert Harris, percussionist Karen Smith, saxophonist Laurent Bass (public event). January 27, Mélange Jazz Collective Trio, Sunday Jazz Brunch, Manayunk Brewery & Restaurant, 10:30am-2:30pm. Bert Harris, bass; Laurent Bass, tenor saxophone, David Dzubinski, keyboard (public event). February 1, Bert Harris Trio, Paris Wine Bar, 2303 Fairmount Ave, Philadelphia, PA 19130 9pm-12am (public event). February 9, Mélange Jazz Collective trio, Acadia Restaurant, 824 South Eight Street, Philadelphia, 8pm-11pm. Bassist Bert Harris, percussionist Karen Smith, saxophonist Laurent Bass (public event). 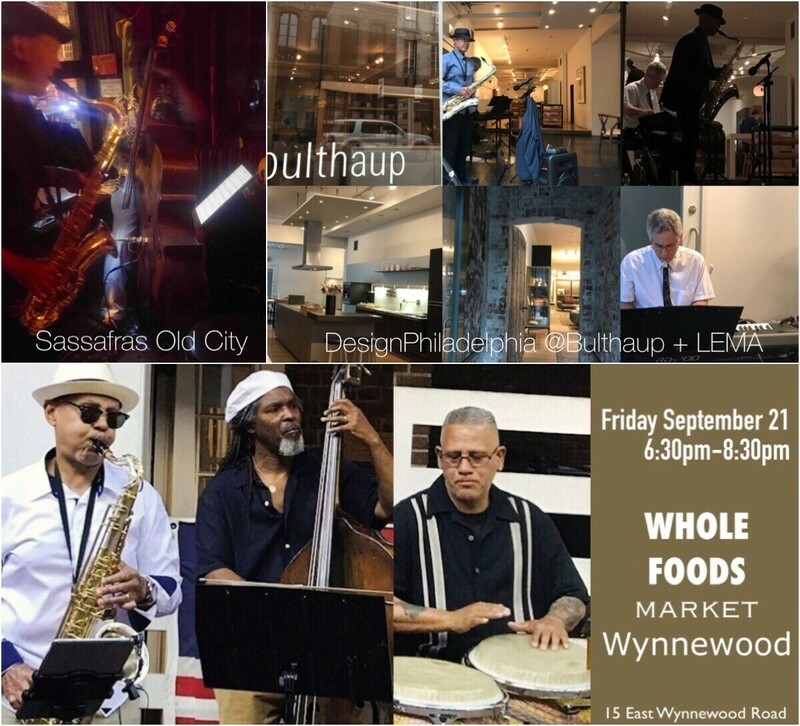 February 14, Mélange Jazz Collective Trio (sax/bass/congas), Table + Tavern, Whole Foods Market, 15 East Wynnewood Road, Wynnewood, 6:30pm-8:30pm (public event). February 16, Mélange Jazz Collective Trio, Acadia Restaurant, 824 South Eight Street, Philadelphia, 8pm-11pm. Bassist Bert Harris, percussionist Karen Smith, saxophonist Laurent Bass (public event). February 24, Mélange Jazz Collective Quartet, Sunday Jazz Brunch, Manayunk Brewery & Restaurant, 10:30am-2:30pm. Featuring bassist Bert Harris, saxophonist Laurent Bass, keyboardist, David Dzubinski, drummer Jeff Johnson (public event). March 14 , Mélange Jazz Collective Trio, Warmdaddy’s Thursday Happy Hour hosted by Michael Tozzi and ijazzglobal.com. Featuring saxophonist Laurent Bass, bassist Bert Harris, guitarist Steve Strawitz. 5pm-7pm (public event). March 23, Mélange Jazz Collective, Live Jazz @The Wyndham, Mount Laurel, NJ.Featuring bassist Bert Harris, keyboardist David Dzubinski, saxophonist Laurent Bass, drummer Jeff Johnson, vocalist Kaylé Brecher. March 29, Mélange Jazz Collective Trio, Table + Tavern, Whole Foods Market, 15 East Wynnewood Road, Wynnewood, 6:30pm-8:30pm. Bert Harris, bass; Laurent Bass, saxophone; Robert Morales, congas (public event). March 31, Mélange Jazz Collective, Sunday Jazz Brunch, Manayunk Brewery & Restaurant, 10:30am-2:30pm (public event). 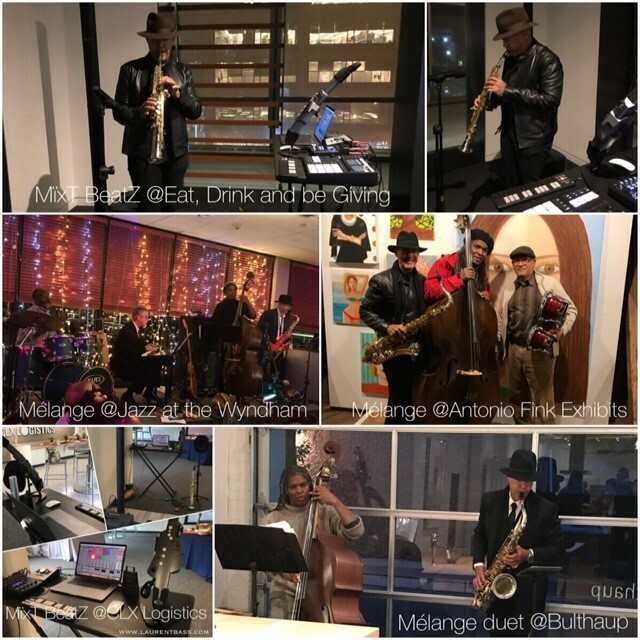 Mélange Jazz Collective Quartet at Jazz @The Wyndham, Mount Laurel – It was a pleasure for Mélange to perform for a very appreciative audience and jazz lovers at Jazz @The Wyndham, a live concert series held every Saturday night at the Wyndham Hotel in Mt. Laurel and sponsored by NAM Events, LLC. Featuring Bert Harris on bass, Laurent Bass on tenor saxophone, David Dzubinski on keyboard, Jeff Johnson on drums. Mélange Jazz Collective will return at Jazz @ The Wyndham on Saturday March 23, 2019. 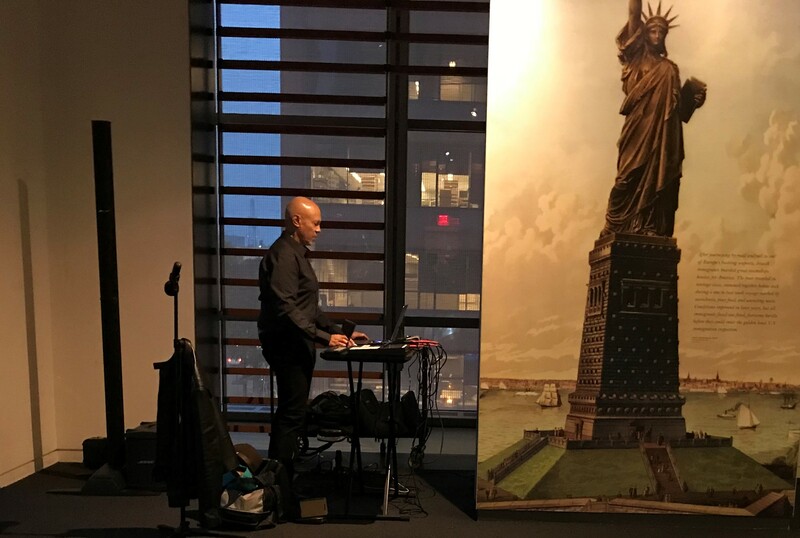 MïxT BeatZ performing for CLX Logistics’ Open House, corporate event – Laurent and MïxT BeatZ set the vibe with great music and ambiance with an engaging and innovative electro performance at this year’s event for one of our favorite clients. Mélange Jazz Collective performing for Cars & Cigars 2018, Capital Grille King of Prussia – LB Entertainment was delighted to be invited again to provide entertainment at this year’s Cars and Cigars event, one of The Capital Grille King of Prussia exciting signature events. The early Fall alfresco soirée was a fabulous night of great hospitality and entertainment. Guests enjoyed an evening of delicious cuisine, fine wines, spirits, hand-rolled cigars and sleek cars highlighted with live music by our trio Mélange Jazz Collective. Featuring Laurent Bass on tenor saxophone, Walter Runge on keyboard, Bert Harris on bass. Mélange Jazz Collective performing at Antonio Fink Exhibits in Berwyn – Guests enjoyed a delightful fall evening reception of art and music for contemporary artist Antonio Fink Exhibits to the sounds of Mélange Jazz Collective, with Laurent Bass on saxophone, Robert Morales on congas, Bert Harris on upright bass. Thank you for your support of the Arts. Wishing you a joyful holiday season.